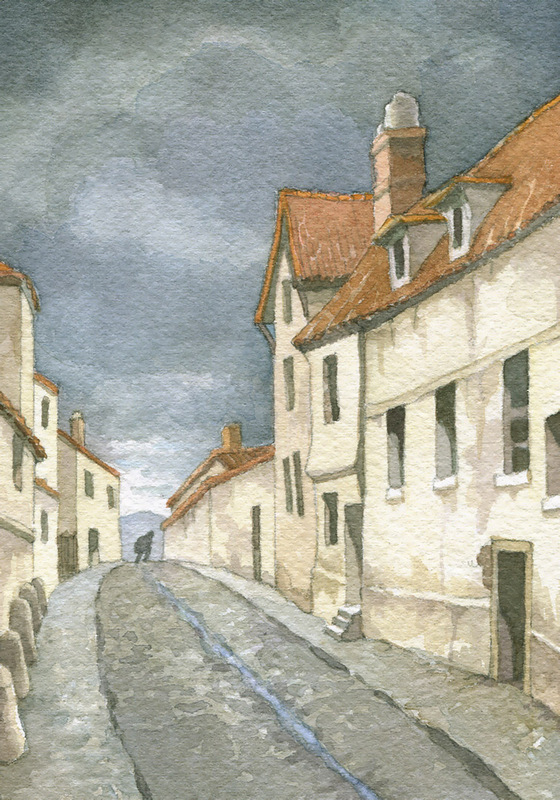 An hour before sunset in October 1815, a man traveling on foot entered a little town in France. 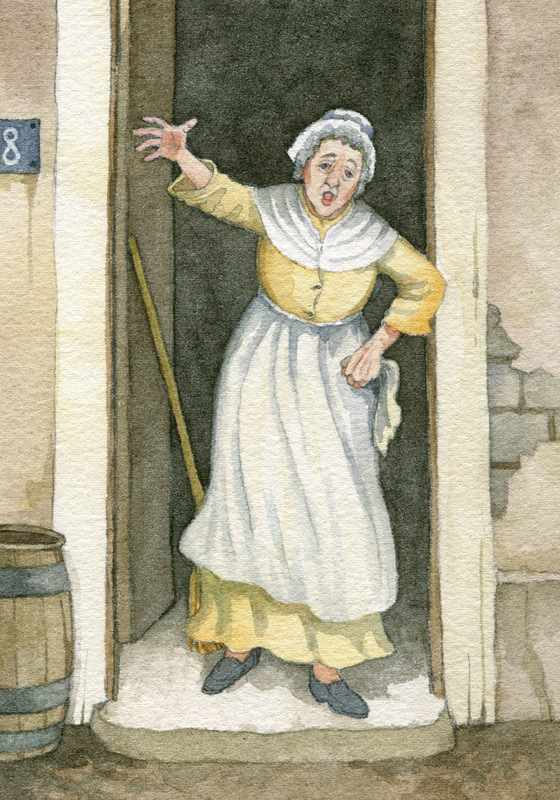 As they passed through the bishop’s room, Madame Magloire was putting away the silver in the cupboard behind the bed. 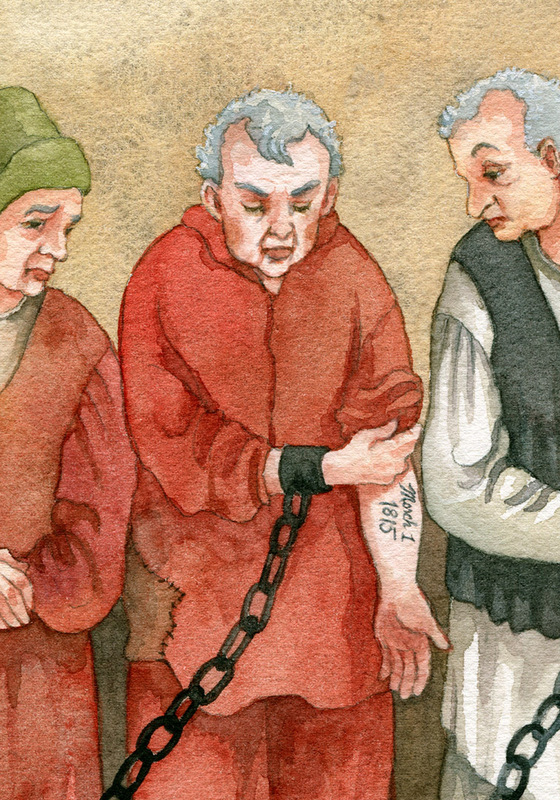 He walked through the town, stopping to ask for food and lodgings at a tavern, but no one would let him in. When the church clock chimed three on that morning, he was kneeling in prayer at the bishop’s door. He fled from the bishop’s house and the town as fast as he could. … a young chimney sweep came walking down the road. A silver forty-sou coin got away from him and rolled toward the man sitting by the road. Valjean promptly put his foot on top of it. When her husband died, she had seven children ranging in age from one to eight. Jean Valjean stole a loaf of bread for the children. The door opened and there stood three policemen. One held Jean Valjean by his collar. Cosette ate under the table with the dog and the cat. Javert always kept an eye on Mayor Madeleine, an eye full of suspicion and speculation. When the old man woke up the next morning, he found money on the bedside table. The man rushed into the building and risked his life to save two children—the police chief’s children. The Thenardiers reply was always the same: Cosette is doing wonderfully well. 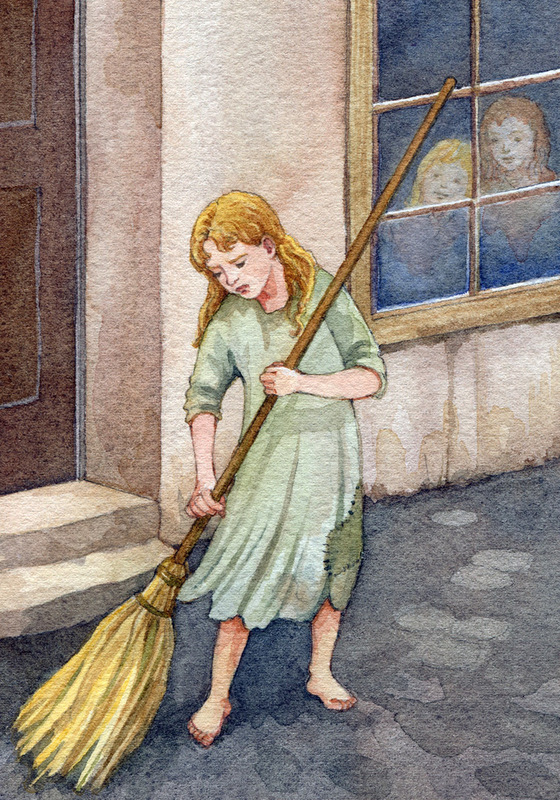 She was a miserable sight to see in the winter, sweeping the sidewalk before daybreak. Suddenly the crowd cried out in horror. The convict had fallen into the sea! For five hours the mayor paced in front of the fire. Throwing down the pen, she said, “Look at this! 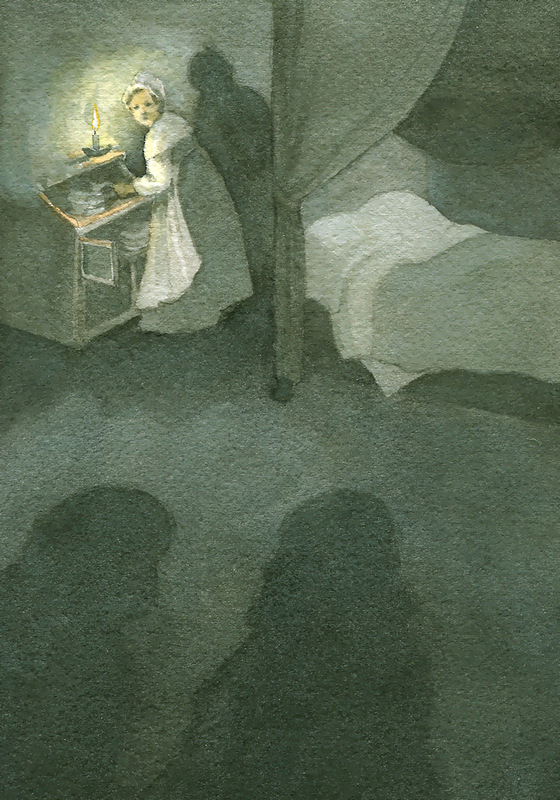 Eponine entered the room with a candle and walked straight toward the bed—but she didn’t look under it. As the man reached the stairs, he turned and Valjean saw his profile! “Cosette! Cosette!” cried Marius in a loud voice. Back in his room, he took out the envelope that he had found. Suddenly Marius noticed a small hole that he had never seen before. Gavroche took the letter and scampered away. He wore a workingman’s waistcoat, brown linen trousers, and a cap with a large visor that hid his face. They arrived at their new home without speaking. Gavroche had been killed—Marius carried his body. He took out his penknife and scratched the address on the garden wall. “The bullet entered my chest,” Eponine said weakly. Luckily for Valjean, he could see the police better than they could see him. Valjean searched Marius’s pockets and found a scrap of bread to eat. Without recognizing them, Thenardier put the key in the lock and opened the grate for Valjean. This was the money that Valjean buried in the woods—whenever he needed money, he would disappear for a few days to dig up some cash.